App Remarketing, or Retargeting as it is commonly called, is a process through which you engage existing users in your app. Most popularly it is helpful in marketing your app on social media which isn’t possible through push notifications, emails or in-app messages. The best part is that like other campaigns Remarketing is also done based on events. For example, in insurance you could target users with Remarketing on Facebook whose renewal date is closer. Unlike other campaigns which focus on engagement or acquisition, Remarketing aims for re-rengagement and conversions. 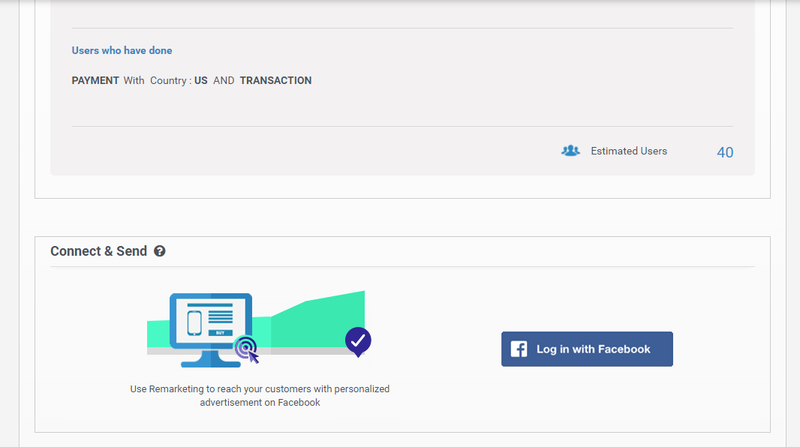 Conversions can be tracked based on events after your ad starts running on Facebook. Users who, as a result of Facebook ad, come back on your app to do a particular event are tracked and counted as re-engaged and conversion is based on that particular event. Events can be set as per your choice to track the effectiveness and coversions in the campaigns. In App42 MA, Remarketing exports the audience of your chosen segment to your Facebook Ad account. The first step would be to visit Facebook for Developers to create an app. When the app is created, click on settings and you will be shown the following screen where you will see your app ID and App Domains field. Enter apphq.shephertz.com/ in App Domains. Clicking on Add Platform will prompt you to choose, click on Facebook canvas. Then add https://apphq.shephertz.com/ in Secure Canvas Site URL and Mobile Site URL as shown below. Then copy your app ID from above and go to your Facebook Ads Manager to note account ID. Then login to AppHQ or sign up if you are new to App42 MA and go to Settings>Remarketing to enter app and account IDs and save. You are all set to create your first Remarketing campaign. Click on Remarketing from the left side sub menu to enter description of your campaign and choose user segments you wish to show your Facebook advertisement to. Important: Minimum 20 users are required for the audience to be exported in your Facebook Ad account. And these users must have their Facebook profiles linked to the email IDs. And click on Login with Facebook. All set! Reach out to us in case you would like a walkthrough of Facebook Remarketing for your app and how it can help you boost engagement and conversions.